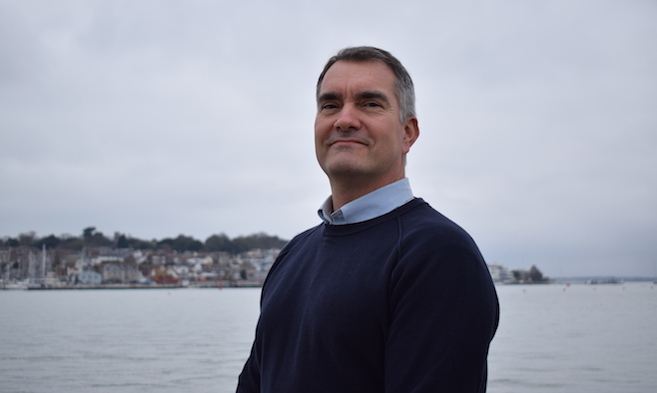 Cowes Harbour Commission, harbour authority for the Isle of Wight’s main commercial, ferry and internationally renowned yachting port, Cowes, has announced the appointment of Jonathan Howden to the position of Deputy Harbour Master - Statutory. Jon will assist the Harbour Master with the Commission’s “day-today” compliance with all aspects of the Port Marine Safety Code and associated statutory legislation, as well as training to become a Cowes Pilot. Prior to starting his seafaring training and career, Jon worked ashore for 14 years at Ericsson Telecommunication Ltd, the UK division of Ericsson’s global operations. During this time, he undertook several roles from software development and testing to multi-national project and product management. A turning point in Jon’s career came after successfully completing the RYA Offshore Yachtmaster’s course, which inspired him to want to work in the marine sector. Sponsorship from the Ship Safety Training Group enabled him to obtain an Officer of the Watch Certificate of Competency and a degree in Merchant Ship Operations from Southampton Solent University. After completing his maritime training, Jon spent 10 years working offshore on wind farm and telecoms cable installations and repairs around the world, and has extensive professional seagoing experience including ship mobilisations, inspections, surveys and dry dockings. Jon currently holds a Chief Mate Unlimited II/2 UK MCA Certificate of Competency and joins Cowes Harbour Commission from the position of Chief Officer and Senior Dynamic Positioning Officer at Global Marine Group.